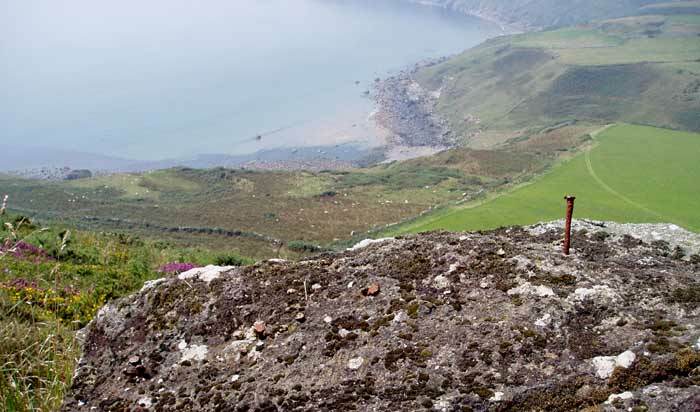 There used to be two lime kilns in Aberdaron, one near the church and the other at Penrodyn ( near the Wendon Gift Shop). 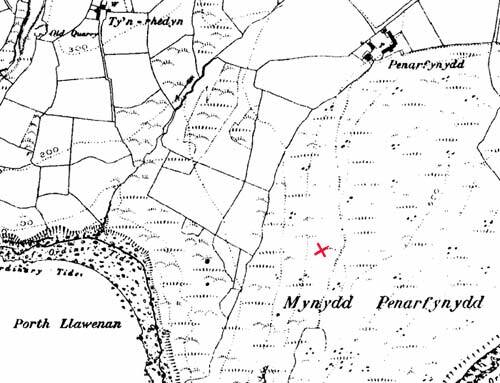 Evan Jones Nant Llanfaelrhys owned the one at Penrodyn and Edward Williams Cadlan owned the one by the church. 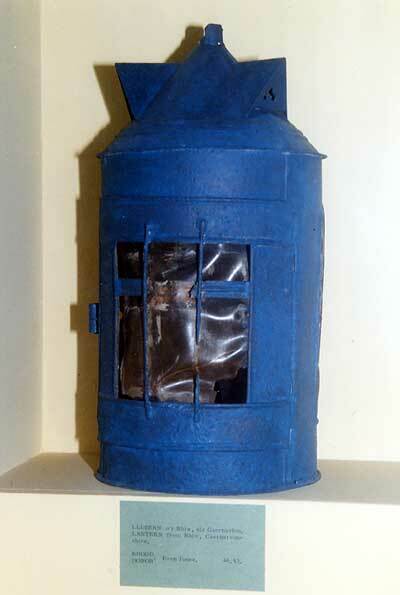 When William Hughes moved to Penbwlch in 1946, he discovered a very old lantern, in a hole in the wall in the cowshed, Evan Jones Bwlch who was a very knowledgeable man, told Wil that he should send the lantern to the museum at San Ffagan. It can now be seen in the museum. Photo from Mr C Hughes. In 1962 Edgar Morris Ael y Bryn travelled home from Australia, where he worked in the opal mines. His journey took him by boat from Freemantle to Sri Lanka, then by ferry to Madras in India, from where he travelled by bus through India Pakistan the Middle East and Europe before reaching journey’s end in Victoria bus station London. In 1922 William Rowlands won a prize at the National Eisteddfod in Rhydaman , for writing an adventure story for boys, the book called ‘Y Llong Lo’ (The Coal Ship) was published in 1924.The book was loosely based on William’s own recollections of Rhuol and the ships that brought coal to Hells Mouth and in its time it became a firm favourite with schoolboys and as was intended encoraged many to read, it portrays the adventures of two young boys who stow away on the ship. William Rowlands was the Headmaster at Ysgol Eifionydd Pothmadog, he was born and raised at Rhiwlas Rhiw. To let the people of the parish know who had died, and that their soul was passing into purgatory. 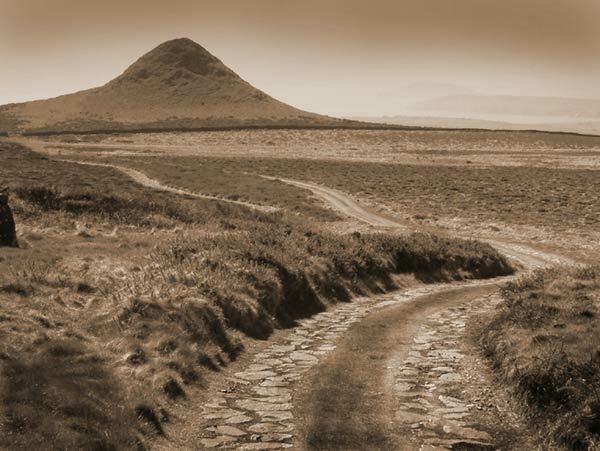 Years ago the people of Rhiw used to cut the rocks and large boulders on the mountain to make gate posts and lintels. 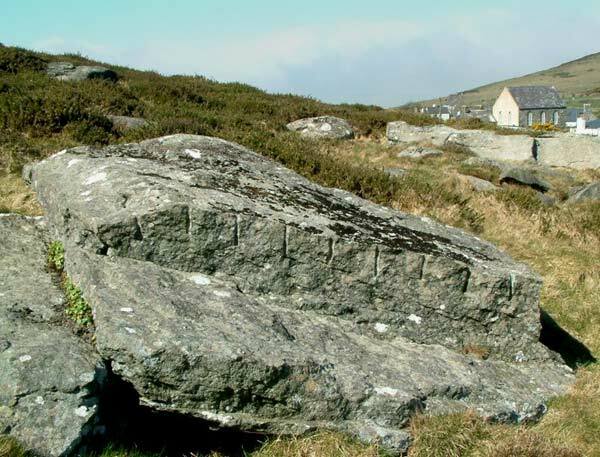 On Penarfynydd mountain there’s a large boulder with five iron wedges still to be seen in it. And above Ty Uchaf towards Nebo Chapel you can see where they successfully cut part of the rock. 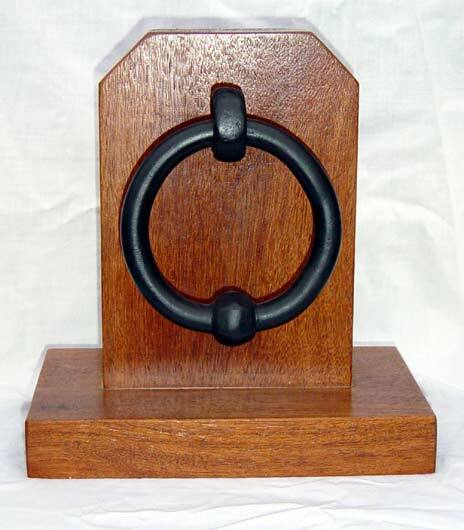 This is the original door handle from Rhiw school. Many years ago Tinkers used to make camp on Pen Comins, they’d go about the area selling their wares and telling fortunes. It is said that it was one of the Tinkers that revealed the cure for the wild wart, however there are many other theories concerning the cure.